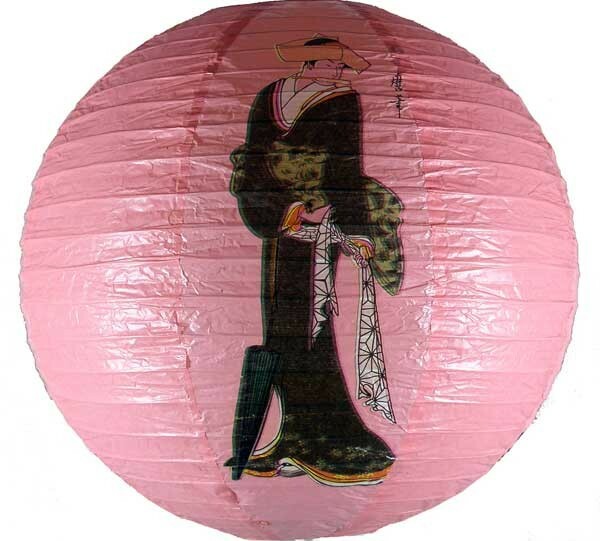 lanterns play a important role for festival & celebration decoration in Asian countries since few thousand years ago. They are getting popular for home decor accents as well as for commercial event decorations in recent years.You may hang this lantern anywhere for an instant oriental accent or place under the existing light bulb (40 Watts or less for safety) for greater lighting effect . No light bulb or electrical wire comes with this lantern. Measures: Diameter 15.5" x H15.5"